For me this looks more like a Mark 5 Cortina (1979-1983). I must agree with you Ralf, the bumper, indicators, grill and front wings all say MK5 Cortina to me. Paul, have you got your photos mixed up? My new, and additional, ride... my newly acquired bike. 'Er..... quite possible. I did have a Gold coloured Cortina just before my Granada. Only thing is I do remember is changing the gearbox on both cars, and putting in another engine on the Cortina. That is... after blowing it up. Ooops! Oh the joy of owning a Cortina Paul, just so easy to work on! I also changed a gearbox on mine years ago. Unbolt the exhaust and push it to one side, unbolt the prop shaft and also push that to one side - then the tricky bit that always involved a couple of cuts on your fingers - turning up all those tabs on the locking ring that you had to do inside the car where the gear lever came up through the floor , then just undo the bolts on the bellhousing, hang starter motor by it's leads ( ), then wiggle gearbox backwards until it drops onto your chest! Fitting new gearbox a simple reverse procedure! Now try doing the same thing in the same time on a modern front wheel drive car! I used to love my old Cortina (Mk3 with the twin headlights), same running gear as the mark 4 and 5. Just so easy to work on, loads of space around the Pinto engine - changing a cambelt in an hour?, no problem, water pump?, no problem, everything was easy to get at. The only bug was the fact i was forever changing the void bushes on the rear axle, I used to knacker them every six months - umm, maybe more down to my driving style back then me thinks! Absolutely agree with you on that Steve, very solid car I found. I liked it better than my Granada 2.0L. Certainly better on feul. Unlike my Granada 2.8L, around town I couldn't get any better than 16 to the gallon. But then again the car was on it's last legs by then, and was falling apart. I would have had a Ford Capri 3.0L S, but my thoughts changed after driving my friends in the wet..... bloooming terrifying. They just wouldn't grip the road when greasy. Or maybe it was the way my friends 3.0L S was set up. Either way it put me off from buying that particular one! I remember many times when I seriously thought about putting a capri 2.8 lump into my cortina, coupled up to a 5 speed gearbox. Sadly i never got around to doing it, though thinking about it it was probably for the best that i didn't. The 2 litre could get 'tail happy' in the wet on roundabouts, so like you say, a 2.8 or 3 litre could have been a bit of nightmare! (Plus of course i would have been changing those darn void bushes every other week! ). 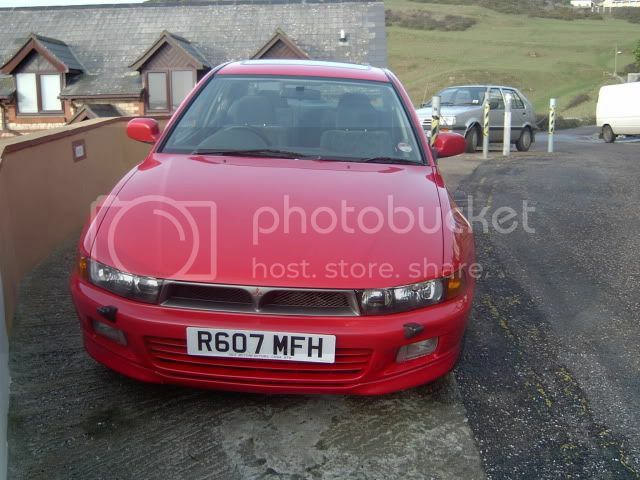 Anyway, out of the later cars i have owned, my beloved 'Mitsi' Galant was my favourite. A real pleasure to drive, and i just loved the 'mean' looking face it had. Sadly i had to sell it last year when my right foot decided it could not push pedals anymore. I was sad to see her go, but pointless keeping her whn i could not drive her. So I had to make a hurried purchase from ebay, something i could drive still, namely an automatic. 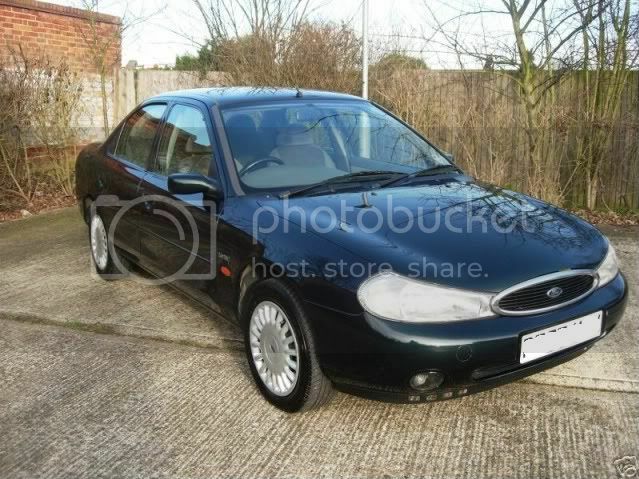 Hence my current car, an auto 2lt Mondeo. 12 years old now, but she's only covered 81k miles, so plenty of life in her yet. Took a bit of getting used to though - driving with my left foot! First couple of brake applications nearly sent me through the windscreen But now it's like i have been driving like this all my life. At the moment im saving to buy another second hand Galant, an automatic version though. Now this will serve many good purposes. Two spring to mind straight away. 1st - It will keep you very fit. 2nd - It will no doubt come in very handy for finding those 'harder' to reach photographic points! Ah!.... 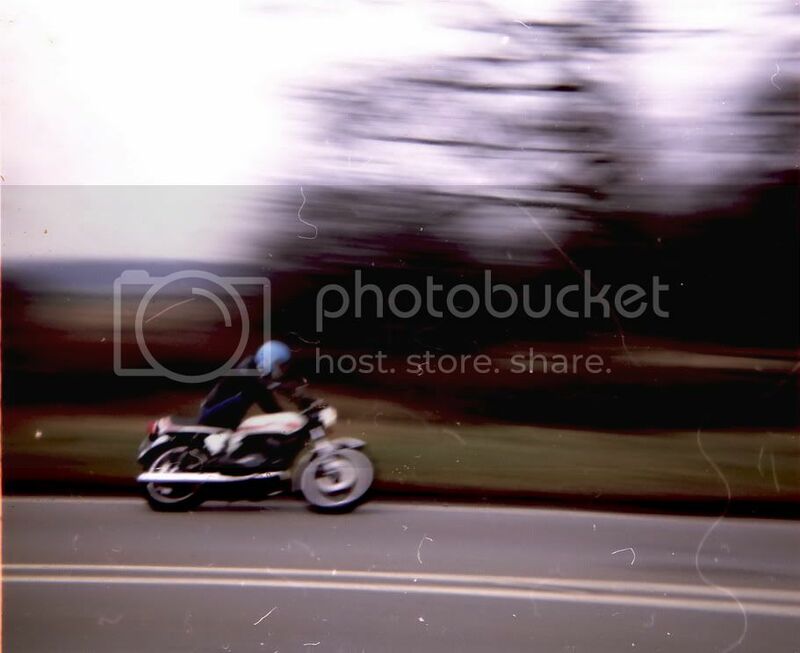 this is scanned from a photo a friend took of me back in my 'teens. Damn I was stupid back then, I mean why do you do these things when you are young? the best pilot,the captain of the biggest ships on the world, that can moored them in a eyeblink and in your sparetime, 10 times worldchampion in f1,wrc, indycars and offshore speedboats. until there lie some gravel in a corner,and hoped that nobody see you laying in the dirt. i was young to,some weeks ago. Last edited by janihudi; October 8th, 2009, 13:21. That is so beautifully expressed janihudi. I just had to tell you that. The real role models round here are folk like Steve.B, Paul and Barry Cobb, Clipper, to give just some examples (and can I add ombugge, even though he’s actually, err, Norwegian ). are not al the kids all over the world thinking at the same way? (i yell to my son to help my out)but now i am often here and read more and more ,i remember more words to use it,and those i don't know i try to use another word for it. wel english is the language that is spoken al over the world,to speak it i wil manage,but now i have to write it ,and thats is harder for me,i am of that age when english was not obligatory at school. No, I really liked what you wrote. No, Seagull never would speak sarcastic about our ability to speak and write English. I can assure you that although i never met her. I understand very well, what she wants to express, because i sometimes see her posts and have to postpone real reading to a later opportunity. For such long posts i just need some time, several re-readings and sometimes also a look in the dictionary. But for me it is the same, i like to get more and more experience with English language. I need it also during my work but there the topics are often very reduced. So i like here to communicate with the whole world about... what ever!! This is better and more worthy as an evening school. But Seagull and all the other "English Native Talkers" - don't be shy and feel free to correct me, if i am repeating the same mistakes again and again. Thank you for those nice comments Ralf. I had some speech difficulties as a child and was also very shy in those days. Attempts by parents and teachers to “improve” my speaking and writing only made me worse. So I was usually the quiet one observing but not participating in activities with others, especially those my own age. But when the opportunity arose to talk about things that really interested me, things I was enthusiastic about, I became a different person, as if you had pressed a switch marked “extrovert”. So I learned I could communicate best by just being myself, instead of trying to speak and write “correctly”. I remain rather awkward in telephone conversations and have only just arrived in the 21st century as far as the mobile phone is concerned!!!! I think I started the OT comments here because I was in the process of writing something really long about my Greenland trip for Fram’s thread when I paused to look at janihudi’s post. (And I've promised to write a lot about my July Norway visit too.) But don’t worry Ralf – it is just an introduction to other posts with much more photos!!! !